Please note these are downloadable PDFs. If you prefer to purchase a physical Book of Wordwheel Puzzles, please visit our WordWheel Book page. If you prefer to play online, please visit our Online WordWheel puzzles. WordWheels are an engagingly simple little word puzzle, but are great fun to play! The puzzle is presented in the shape of a wheel, as shown in the image on the right. 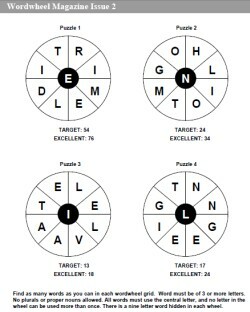 The aim is then to find as many words as you can in the word wheel. 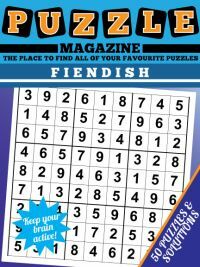 There are four issues of this printable wordwheel magazine available to purchase at the end of this page - why not buy them both, or perhaps purchase the second after completing the first? There are a range of different rules in wordwheel that are used to decide what constitutes a valid word or not. In many places, plurals are not allowed, nor are proper nouns - and words must be of at three letters, and sometimes even four. 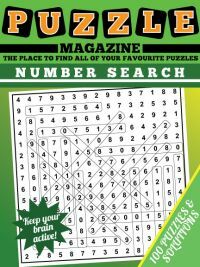 With our puzzles, you can play by whatever rules you like, but suggested rules, and the ones we use when coming up with the wordlists, are included at the bottom of the first page of each issue of the magazine. 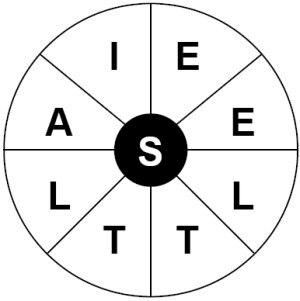 There is at least one nine letter word hidden in each wordwheel (and thus using every letter in the wordwheel). For many players the fun element and biggest challenge of the wordwheel is to find a nine letter word. 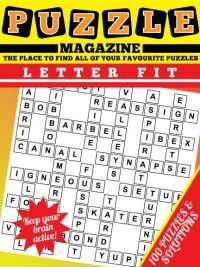 And for that reason, at the back of the wordwheel puzzle magazine we've given a list containing a nine letter word hidden in each of the 100 puzzles. For those who like a challenge, we've set two for every puzzle: first a target number of words to find, and secondly the number of words that we think it would be excellent to find, this second target is particularly challenging! We've included a list of all the words we found for every puzzle at the back of the magazine for you to check against, and see if you can even beat us! The wordwheel magazine contains 100 wordwheels. 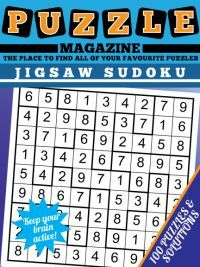 These are laid out 4 per page and numbered accordingly, so the magazine has 26 pages in total - the final page listing the 9-letter words for each puzzle. 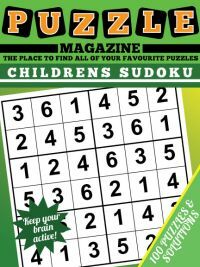 The magazine is supplied in print-ready PDF format for you to print off the puzzles using your printer when you want to play them. You can view and print a sample page from the Wordwheel Magazine here. 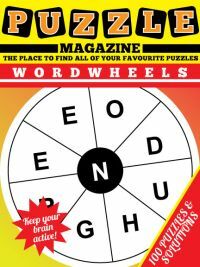 As with most of our magazines, this one is dedicated purely to the wordwheel - so if this is your favourite puzzle, then why not indulge, and download this fun collection of 100 word wheels that is sure to provide fun and enjoyment, and also perhaps build your vocabulary at the same time! We're pleased to announce the launch of a second issue of Wordwheel Magazine due to popular demand, containing another 100 fantastic wordwheel puzzles for you to enjoy! So why not take a look at a sample page from Wordwheel Magazine Issue 2 and then download the whole collection? So how do you go about finding all the words in the wordwheel? People's opinions on this differ; many like to just let their eye wander around the wheel and see what comes to them. But to try and pick up all the words, it usually pays to have a strategy. The best systematic approach is to pick a letter in the wheel, and use that as the first letter. Try to find all words that start with that letter. Be as systematic as you like: are there any words that begin with the letter to the right? Yes? Then try words that begin with the letter to the right of the second letter, and so on. You get the idea. If there are not any words that begin with the second letter, such as 'ZC' then move onto the next letter - now can you make words? With 'ZI' as a start you certainly have the potential to do so. Use this method and gradually work around the wheel, using each letter as the potential first letter in turn. This should yield a large number of words for you and probably gives you the best possibility of finding all the words that can be yielded by that particular wheel. Use the given targets as an indication to whether the wheel is a relatively fruitful one or not in terms of how many words are concealed within it. And then there is the great pleasure of wordwheels, and indeed word puzzles in general - looking up and discovering new words. This can be a great joy. To make word wheel solving a truly educational experience why not consider keeping a log of new words you learn and their meanings as you work your way through the magazine. This can be particularly satisfying and rewarding for children trying the puzzles, not just adults! And if you have any thoughts on solving these puzzles then please do let us know!